BIZZ the Hotel, Rajkot, reflects the capital city, then of Saurashtra's spirit in a harmonious blend of contemporary sophistication and western outfit. Recognized as a pioneer and an icon amongst luxury and business hotels in Rajkot, BIZZ the Hotel Rajkot, is the first hotel to offer a 24 hour Butler service. Its exquisite interiors, impeccable service and fine cuisine combine to make it amongst the most graceful and elegant downtown hotels in Gujarat. 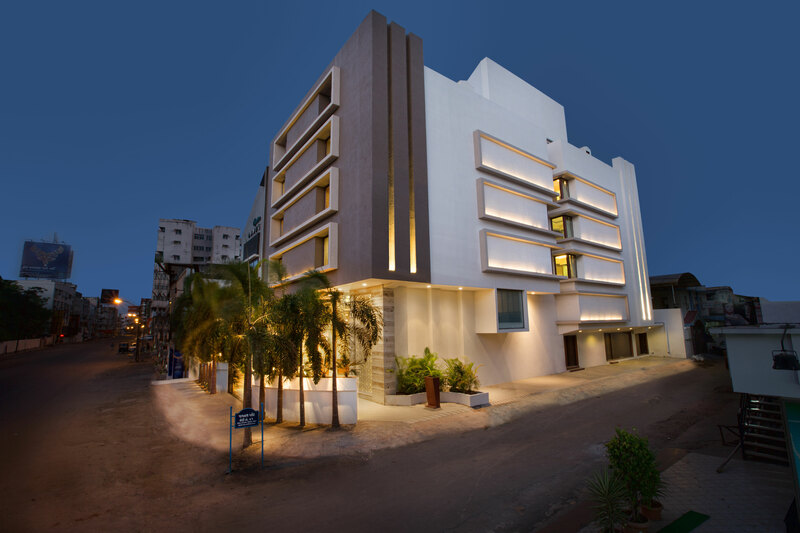 BIZZ the Hotel, Rajkot is ideally located in the city center on Dr. Yagnik Road near government / corporate offices, shopping, financial and business districts. The hotel is a 07 minute drive from the airport and 11 minutes away from the Rajkot railway station. BIZZ the Hotel offers an exciting range of dining options that include multi-cuisine dishes, a rooftop barbeque restaurant, a 24 hours Coffee Shop, the cake shoppe and the private dining room, especially for Elite Guests wishing to dine in a very private environment.